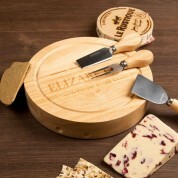 Surprise a cheese-lover on their birthday or Christmas with an engraved cheeseboard and knife set. 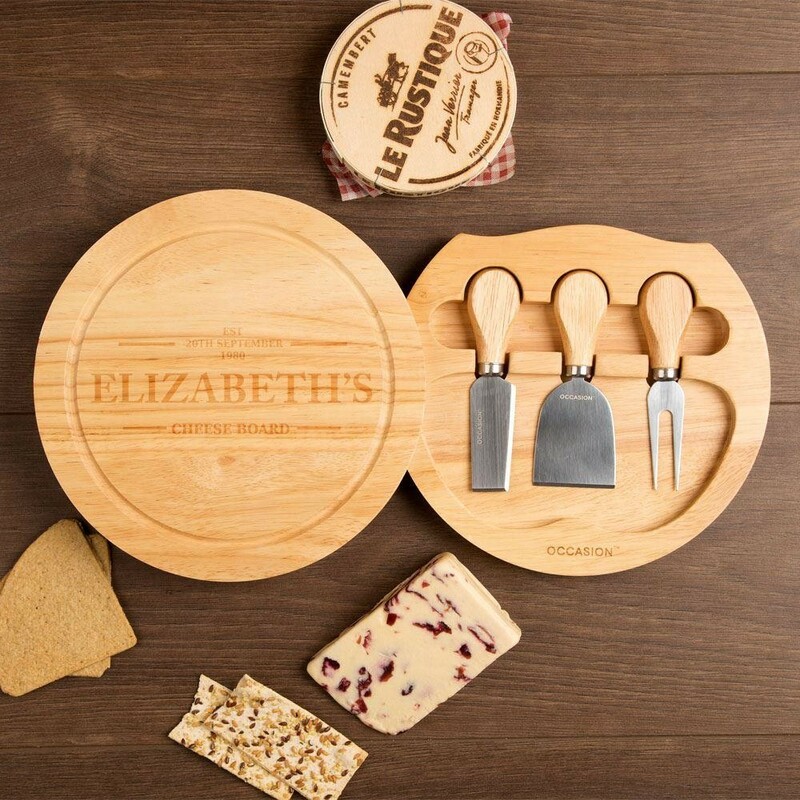 This stylish cheeseboard features a built-in knife storage compartment, which is easily accessed by sliding the top of the board round. 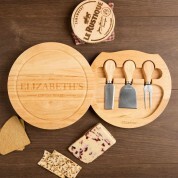 It is made from hevea wood, giving it a light finish. 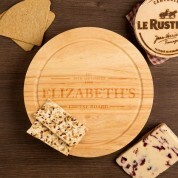 The board is fully personalised with a classy design, featuring your recipient's first name and date of birth. The classy design will suit people of all ages, and will stand out on display in their kitchen when it's not in use. The wood used is a natural product, and the grain may vary when engraved, resulting in a darker or lighter engraving than shown. Dimensions: 22cm diameter x 4cm deep.